It has turned cold lately, so we spent the weekend cuddling and trying to keep warm! 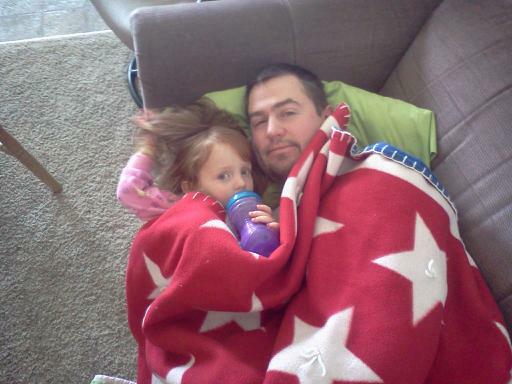 Kaidrei insisted on cuddling under Brian's blanket! Sadly, I was sick on Friday and this morning both girls have fevers. I'm not ready for the season of sickness which is upon us. I feel like we just got well around our place.